For me, Sprintapalooza is the perfect Friday morning effort since my Saturdays usually feature the longest/hardest ride of my week. Sprintapalooza is generally ~22-25 miles long at around 2.5 w/kg, riding at (for me) an easy zone 2 pace except when we hit the sprint on each lap. Our goal is to take the green jersey for men and women, then improve on those sprint times each lap. 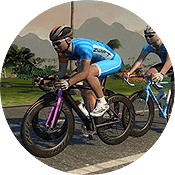 It’s a “get the legs spinning and blow out the cobwebs” sort of group ride, and double draft helps the group stay together and moving along at a good clip so the ride lasts about 60 minutes. 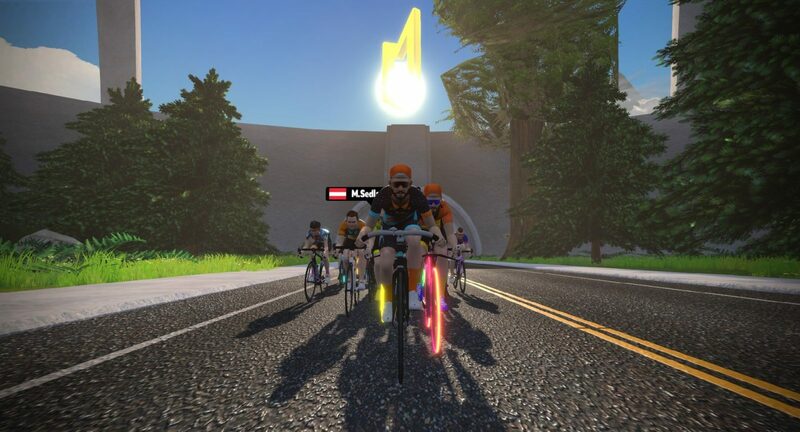 I was particularly excited about today’s Sprintapalooza because my brother-in-law Drew was joining it–his first ever Zwift group ride! I grew up mountain biking with Drew, but he lives near Vancouver, WA now so we rarely see each other. Around 100 riders rolled out at 5:25, and after giving them the usual orientation messages I asked them to say hi to Drew since it was his first group ride. Everyone was super cool, welcoming Drew. He loved everyone’s hospitality, but unfortunately got dropped on the first sprint when he lost the draft and couldn’t get back on. That’s what too much downhill MTB will do to a man: you forget how to draft! Lesson learned. Today was my first time leading this ride on the Watopia Flat Reverse route, but I’ve ridden it hundreds of times so I know how the sprint works. Start winding it up on the descent to the bridge, then hit it hard as you get to the bottom of that descent. The sprint is only 10 seconds long, so just enough time to wake up your legs and heart before you settle in for another lap. We took green on our first lap and kept it for four laps. I even rode leadout for the last sprint myself, sporting the Buffalo bike with 808’s. The perfect leadout machine! Just after the ride ended we caught up to Drew, who had been lapped. A couple Sprintapalooza guys were still chatting with me on Discord, and when I let them know I was going to hang with Drew as he finished his final lap they said they would join us. So that’s what we did! It actually worked out great, giving Drew the chance to sit in the draft while we spun our way round lap number five. We finished Drew’s last lap and I kept on going, deciding I would do around 40 miles. As I entered the ocean tube after the fishing village I noticed on the minimap that someone I had favorited was riding towards me, coming the other way. My list of favorites is short, so I watched the rider as they went by and recognized from the avatar that it was my dad. 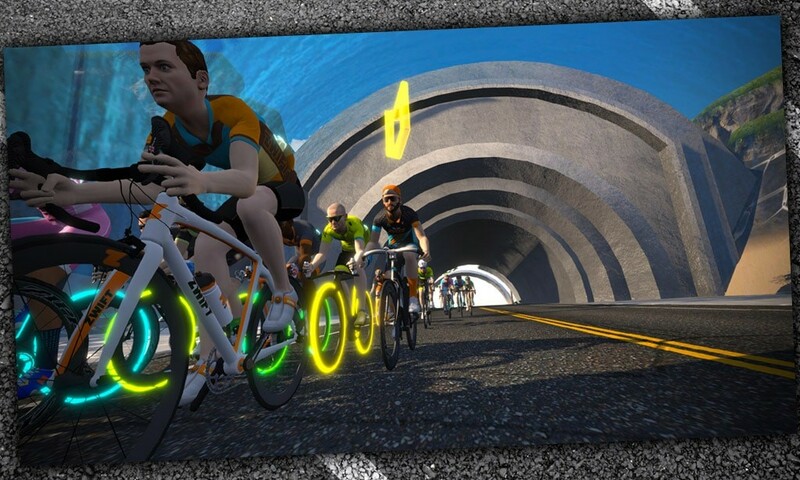 That’s right, folks: I can recognize my dad on Zwift. 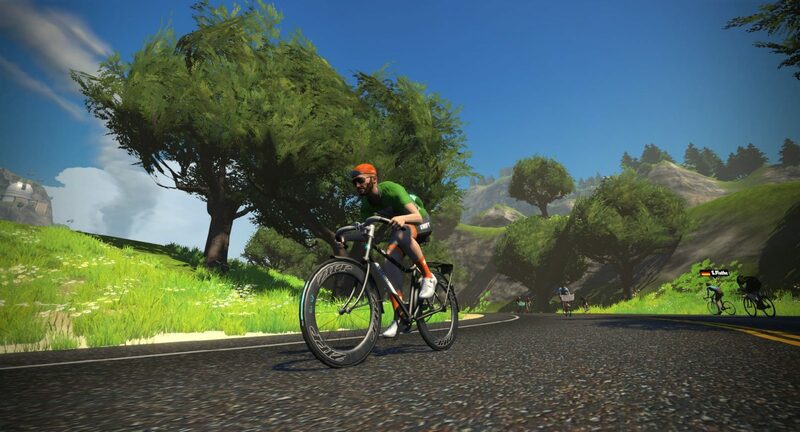 My father (Rocky Schlange) just started on Zwift a couple weeks prior, after being off the bike for several years. When I really got into cycling as a high schooler it was my dad’s fault–he and others from our church did a lot of road riding, and I got into it because of them. 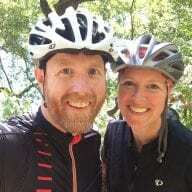 Thing is, we haven’t ridden together since I was in high school–so the prospect of him getting on Zwift was very exciting to me. He lives across the country from me now, so we can’t ride together outdoors. But we can Zwift together and chat on Discord while we do it, and that’s just as good in my book! 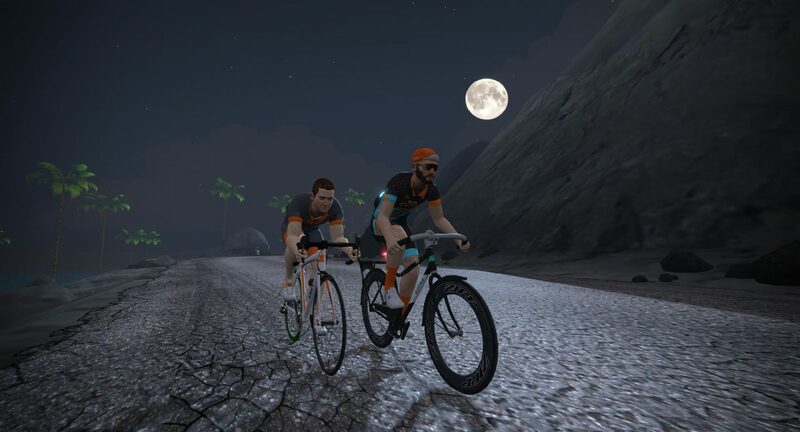 We had ridden a few times together on Zwift, but today was a surprise impromptu ride. I hit my down arrow to flip a u-turn and grab his wheel, and we spun together for a while until he wrapped up his ride. The icing on the cake. I’ve learned after leading Sprintapalooza that even if I’m not on top of the leaderboard during the event, if I keep pedaling long enough afterward I usually end up with the jersey as the faster guys sign off. And that’s how I ended my ride! As I climbed off my bike I reflected on what a fun morning I’d had. 42 miles in 2 hours, riding with family and friends from my cycling past who now live far away. 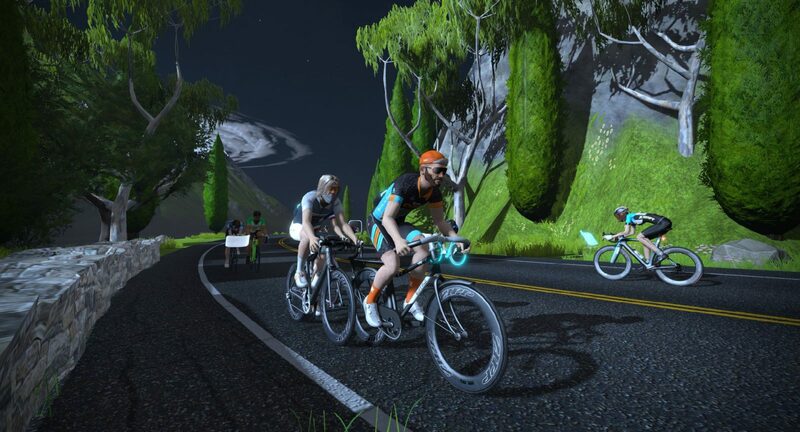 Zwift has indeed built something special: a sort of social teleportation fitness device. Ride on! Great post. Glad I was apart of the ride and post lap. Cool you recognized your Dad. Keep up the good work. It was fun hanging with you on Discord, Joe!